While Muslim critics of the Bible may claim that the text of the Bible has been corrupted, they are never able to pinpoint a specific time that this alleged corruption occurred. For 400 years after the death of Muhammad, Islam adhered to the words of the Quran affirming that the Taurat (the Quranic word for the Hebrew Torah) and the Injil (the Gospel) had been sent by their god and would be preserved by him. But it appears that sometime in the 11th century, they finally realized that Muhammad was nowhere to be found in the Bible, and it seems that a decision was made to blame it on a Jewish and Christian conspiracy to hide his name from the world. "Inasmuch as the Muslims could not find a single proof in the entire Bible nor a reference or possible allusion to their prophet which they could utilize, they were compelled to accuse us saying, 'You have altered the text of the Torah, and expunged every trace of the name of Mohammed therefrom.' They could find nothing stronger than this ignominious argument." And that was when the claims of corruption began. Rather than do the logical thing, which would have been to question the reliability of the source of their bad information, the finger was instead pointed at a global plot participated in -- and somehow kept secret by -- millions of Jews and Christians all working together over hundreds of years. If this sounds like it might have come from out of the mind of Dan Brown, well, it is not implausible that their inspiration has similar roots. Is there a basis for Scriptural corruption of the extent and magnitude that Muslims of today claim? With any event of historical value, the closer a document is to the event being recorded, the better. Especially if it is attested by multiple sources. That is what we have with the New Testament. Christians have Scripture manuscripts from almost 2,000 years ago that say the same things that our Bibles do today. These are texts from 600 years before Muhammad and the message has not changed over the millennia. We also have manuscripts from after Muhammad that contain exactly the same message. For the Old Testament (the Jewish Bible), we have manuscripts that are about 2,250 years old, or more than 860 years older than Islam. They, too, say the same thing as our Bibles today. 36 do you say, ‘You are blaspheming’ to the One the Father set apart and sent into the world, because I said: I am the Son of God? 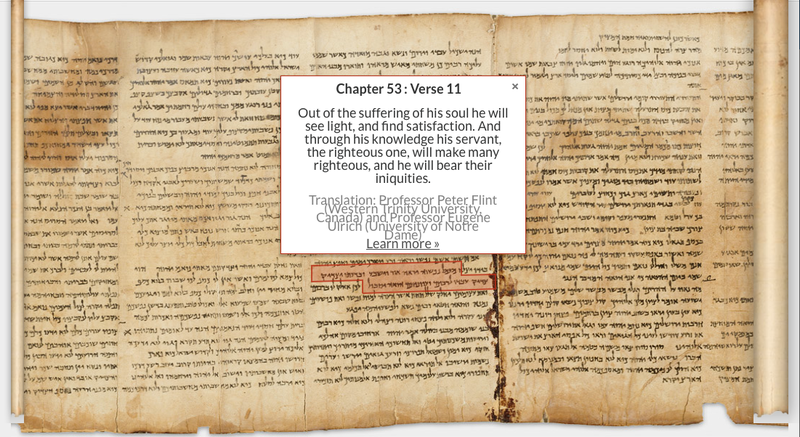 As anyone can see, there are no substantial differences or "corruptions" between the almost 1,700 year old text and today's version, apart from the updating into modern English. The core message of the verse remains intact, with all the vital elements necessary for an accurate translation applied, such as authorial intent, historical context, and faithfulness to the original text. 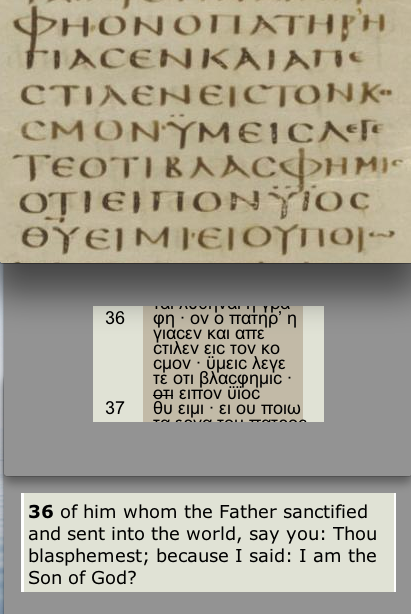 With the Rylands P52 papyri, we have an actual portion of the Gospel of John that dates to within 60 years of the death and resurrection of Christ -- and reads the same as our Bibles do today. 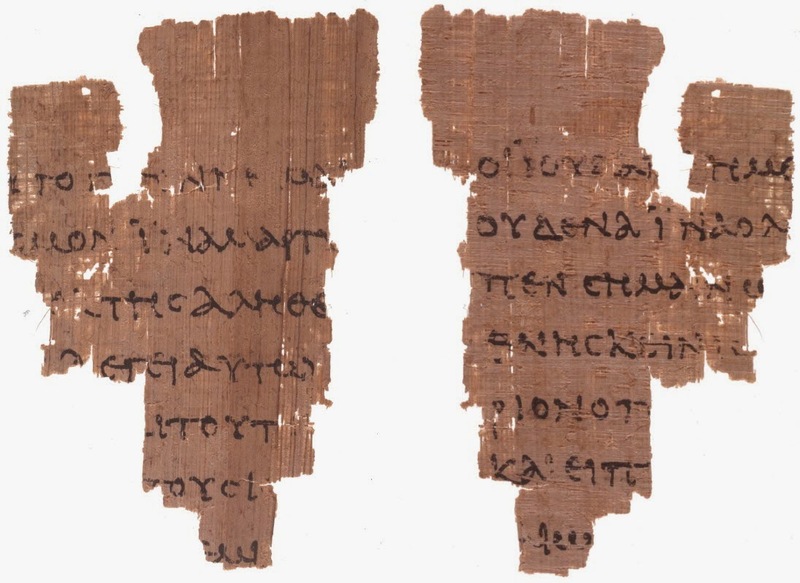 Some new finds have been announced of what might possibly be the oldest Greek copy of Isaiah ever, as well as that of a portion of the Gospel of Mark dating from the 1st century (Jesus' and His disciples' time) that would be the oldest extant portion of Mark in history thus far. If reports are accurate, a portion from within 40 years of Jesus' ascension is now in the hands of experts. New Testament and Greek scholar Dr. Daniel Wallace says Christians have what is "an embarrassment of riches" when it comes to copies of the New Testament. 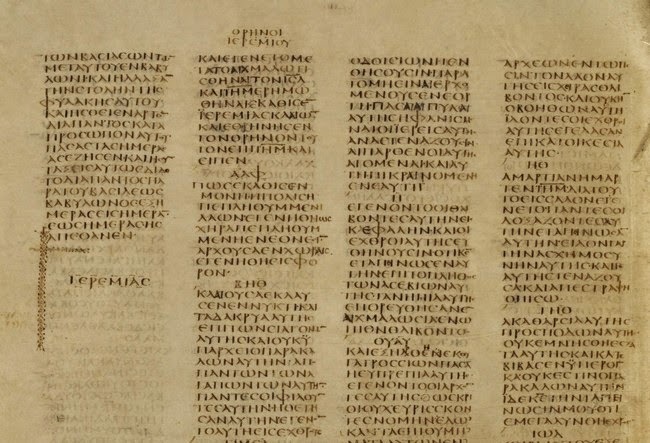 Scholars say we currently have about 5,838 Greek manuscripts plus more than 25,000 manuscripts in other languages such as Latin, Coptic, and Syriac, with that number continuing to grow every day. On top of that, we have over 1 million quotations of the New Testament from the Church Fathers, which provide us with yet another source by which we can cross-check the accuracy of our New Testament. Muslims, on the other hand, are not in quite the same boat as Jews and Christians. Apparently, they're not even in the same ocean. Islamic scholars say there are at least 50 different versions of the Quran. This is likely because Muhammad was not a big believer in the written word. Instead, he taught all his followers to memorize the "revelations" he said Allah had passed on to him through an angel called Jibril. After his death, however, hundreds of his followers who had memorized different bits of his Quran died at the Battle of Yamama, taking their memorized verses to their graves with them forever. And that was the disaster that finally caused the collection of all the Quran from those of Muhammad's followers who had survived or had written verses down on animal bone or skin or whatever else had come in handy. But since Muhammad was dead, there was no way to cross-check with "the last prophet" if the text that they had was accurate. Muhammad was not around to tell Muslims which verses belonged in the Quran and which didn't. Instead, Uthman, a non-prophet who was then leading the Muslims, made those choices for them. Uthman's version is what Muslims know today as their Quran, but it is a version that has been called "a revision of a revision of a variant of a variant of a version of a version of the original Quran." The oldest existing Quran, the Sana'a manuscript discussed in the video below, is dated at around 705-715AD, or 73 years after the death of Muhammad. It contains only 43 of the Quran's 114 Suras, and is filled with erasures, errors and palimpsests, which scholars say reveals that the real and final text was still undecided even at that late time. The Sana'a manuscript is very different from the Uthmanic text in common use today by Muslims. 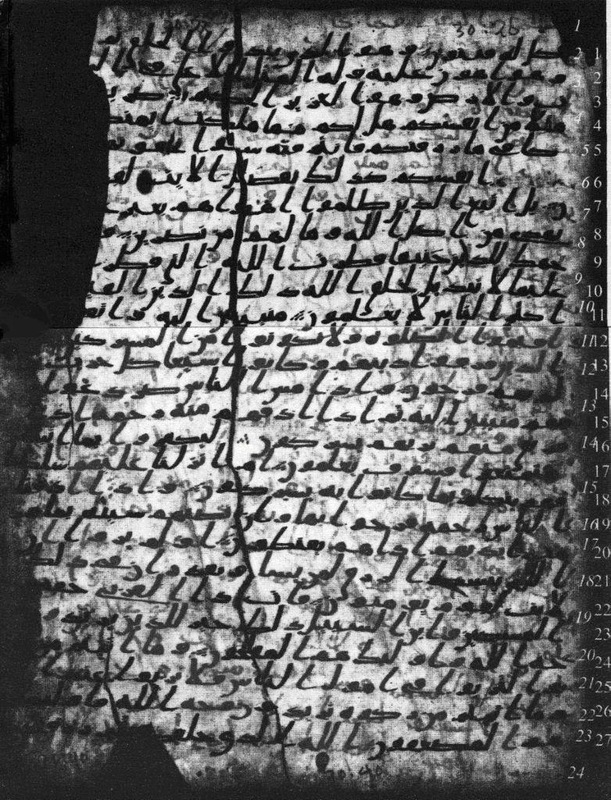 As the video relates, the Sana'a manuscript may be better understood if it's read in Syriac, not Arabic, as it makes more sense that way. For example, the promise is for good Muslims to enjoy an abundance of leisure eating grapes in Paradise, not in ravaging 72 virgins. And after Mary delivers Isa, who is Muhammad's version of Jesus, rather than comfort her with the strange words, "Allah has put a river under you," the Syriac would more sensibly read: "Allah has made the child's birth legitimate." The Quran's next oldest manuscript, the Ma'il, is dated in the 8th century, or a century after the death of Muhammad. Unlike the Bible manuscripts, many of Islam's oldest copies of the Quran may be seen by the public. Neither scientific examination nor scrutiny of these manuscripts is allowed at this time, which leads to the speculation that perhaps a few select Muslims have something to hide from the rest of the world.